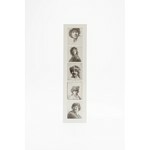 Twenty self-portraits of Rembrand, from young to old. Twenty self-portraits of Rembrand, from young to old. 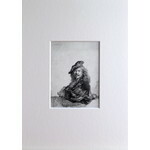 In our large etching collection there are several self-portraits. We have put them all together. As a young man, starting with his career, and as an aged man. The sheet is 29 x 38 cm.